We have another big acquisition in Indian startup Ecosystem. While the rumours have been around for few weeks now, it seems that the deal has been sealed. Quikr, India’s leading digital classifieds portal has acquired real estate portal CommonFloor.com in a stock-and-cash deal valued at $200 million. The deal was first reported by VC Circle, while report from NBW cites insider sources for the deal value. The rumours of this deal have been around since May, however, company had been denying it till now. The earlier rumoured deal value making rounds was around $160 million for a complete buyout, however, at $200 million (around Rs. 1320 Crore) it is significantly higher. 7 year old Commonfloor has raised a total of 4 rounds of funding. Their Series A happened in 2009 with Accel Partners being the sole investors. Tiger Global led their Series B funding in October of 2012. They raised Series C in July of 2013 from their existing investors, while their latest Series D funding was led by Google Capital in January of this year. 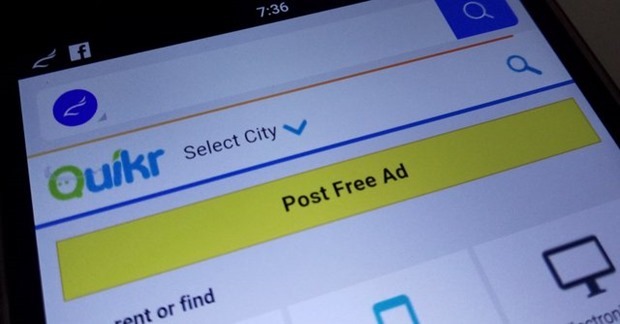 Quikr themselves are flush with money – and they have been consistently raising bigger rounds every year. Till date Quikr has raised over $350 million and their valuation was rumoured to be close to a billion dollars. With acquisition of CommonFloor, Quikr is pretty much a Billion Dollar company now! While we are unsure of the total Funding raised by CommonFloor, most reports suggest it to be in the region of $60 million. Interestingly, CommonFloor made as strategic investment of $2.5 mln in FlatChat, an app that allows you to find accommodation on mobile chat. So it seems that while paperwork may still be in process, both parties seem to be ok with terms of the deal. The deal is said to be in cash and stock – CommonFloor’s Founders Sumit Jain, Vikas Malpani and Lalit Mangal will receive part cash (20%) and part Quikr stock (80%) for their stakes. Existing investors in CommonFloor, including Google Capital Accel Partners will collectively get a 10% stake in Quikr. For Quikr, CommonFloor fits in perfectly in their verticalization strategy. In September 2015, Quikr launched Quikr homes, and CommonFloor portal is now sure to see deep integration with Quikr Homes. The online real estate segment is now seeing a consolidation drive with IndiaProperty and IndiaHomes trying to team up and News Corp-backed PropTiger taking over Makaan.com in May. "Quikr Acquires CommonFloor in a $200M Cash/Stock Deal", 3 out of 5 based on 5 ratings. Myntra Does #MobileWapasi, Relaunch Their Mobile Website; Admission of App-Only Blunder?